Tokyo Banana Tree Shally Mate is a leopard patterned langue de chat cookies, and "Tokyo Banana Tree" is a leopard patterned banana shaped cake that has chocolate banana filling, that is available at certain locations. This cookies were born from the famous souvenir. The wrapping paper also had leopard pattern. 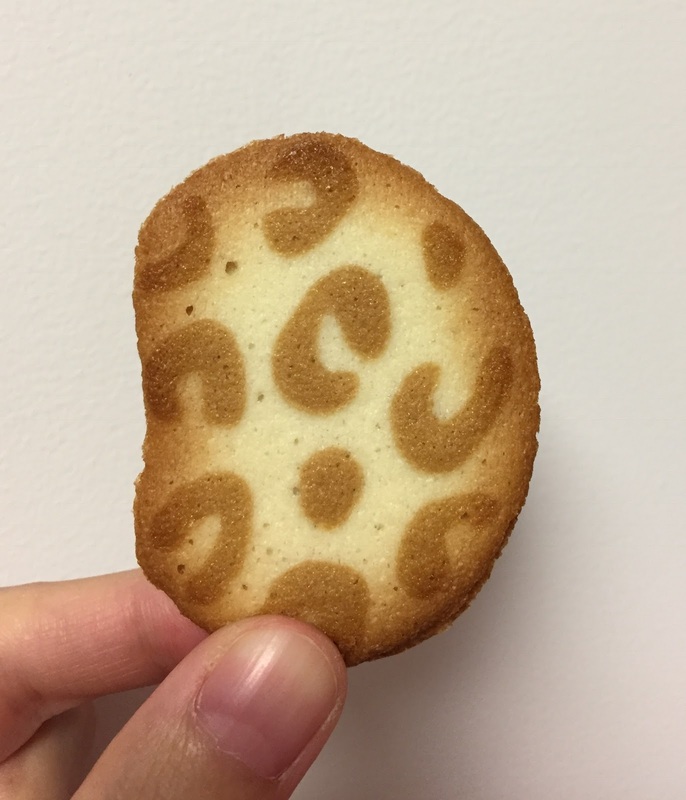 There're 16 cookies in the box. There're 2 flavors; White Choco Sand and Milk Choco Sand. Choco is an abbreviation of chocolate and Sand is sandwich. 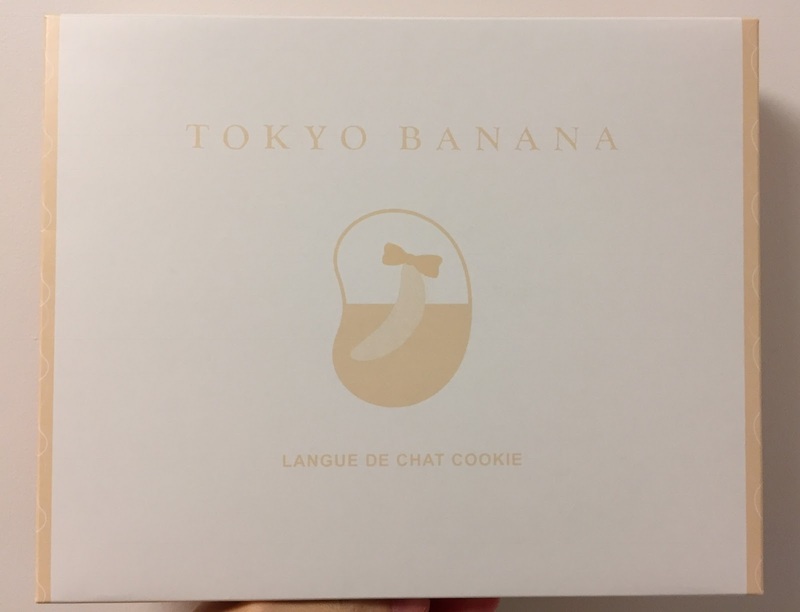 There's a leaflet about this langue de chat cookies. Small crunchy textures who gathered to melt. (They) melt together with chocolate. 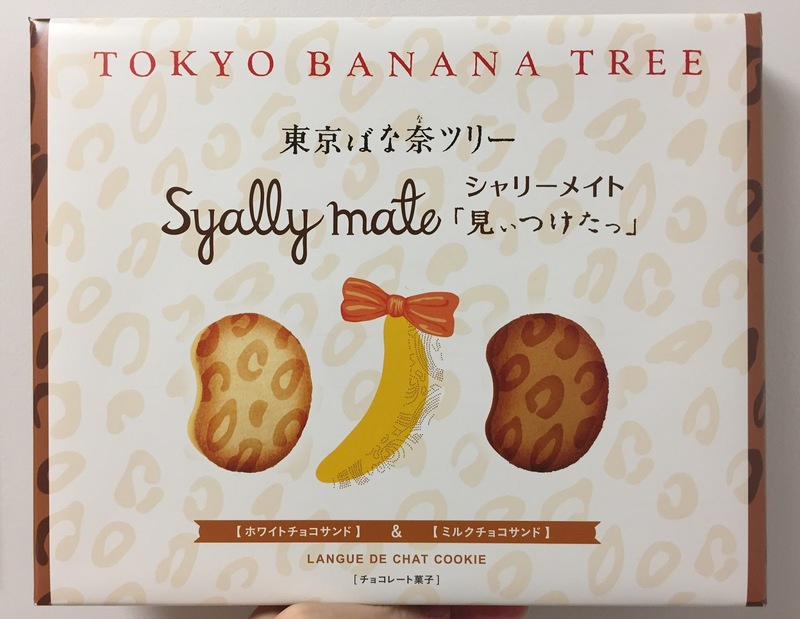 Shally Mate ~ (They're) mates who are connected each other for the crunchiness. See? 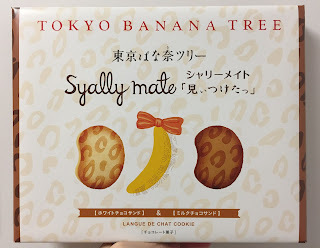 Shally Mate are getting ready to melt in your mouth. 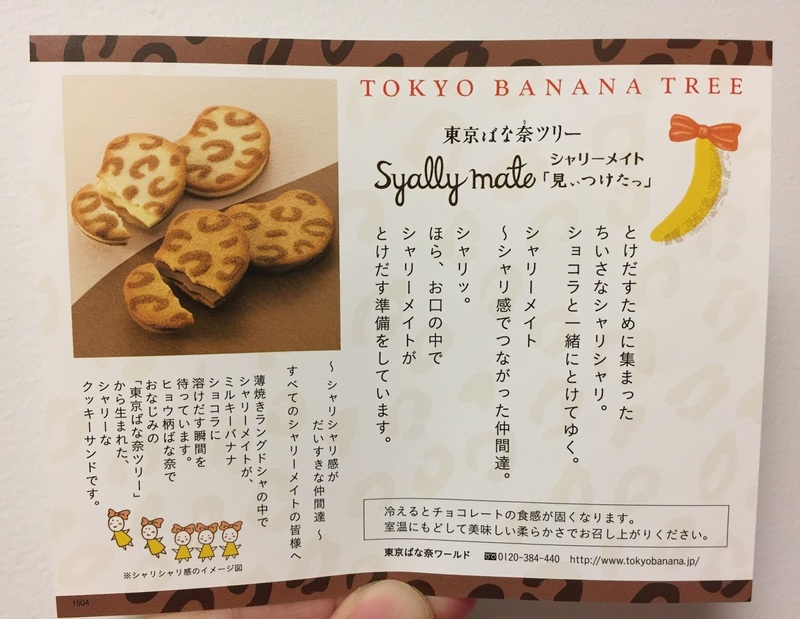 Until I read this memo, I had no idea what "Shally Mate" was but now I see, a kind of. 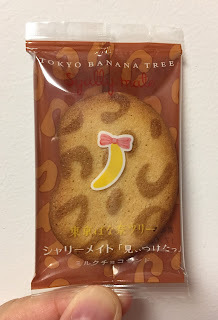 The pouch was white with beige leopard pattern and there's a Tokyo Banana motif (a banana with pink ribbon). 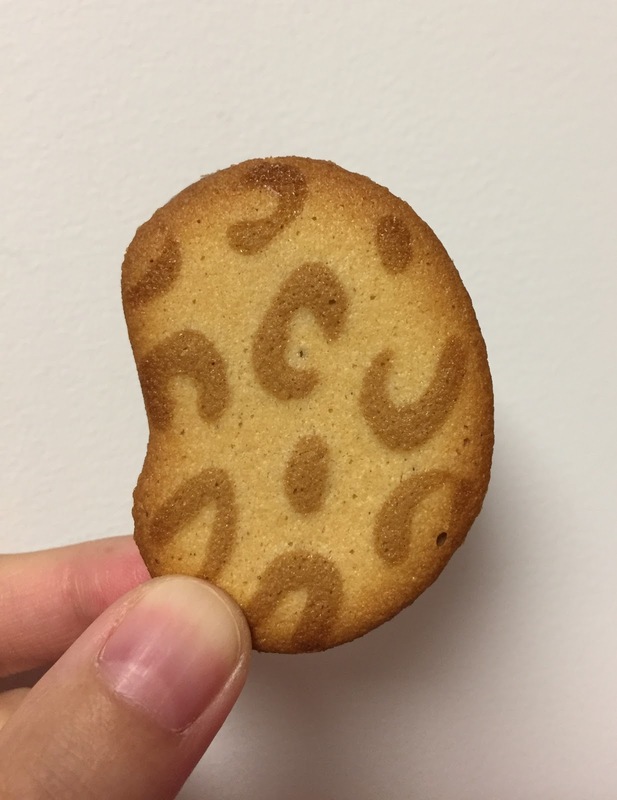 It's a round banana shaped cookie with leopard pattern on pale white color. 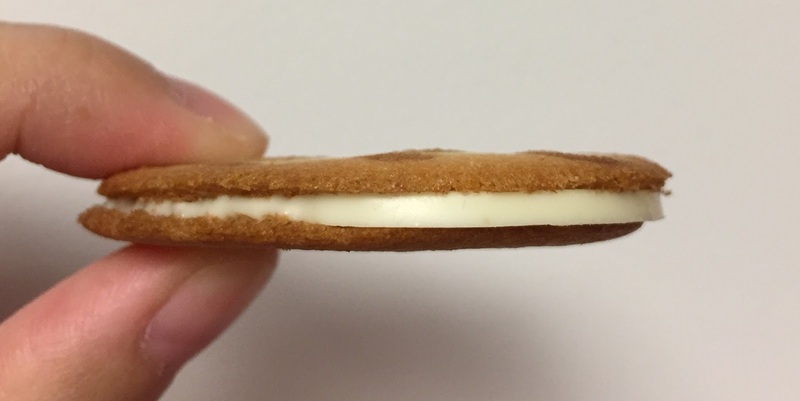 The bottom cookie was plain, and it's bizarre to see some chocolate was sticking out. 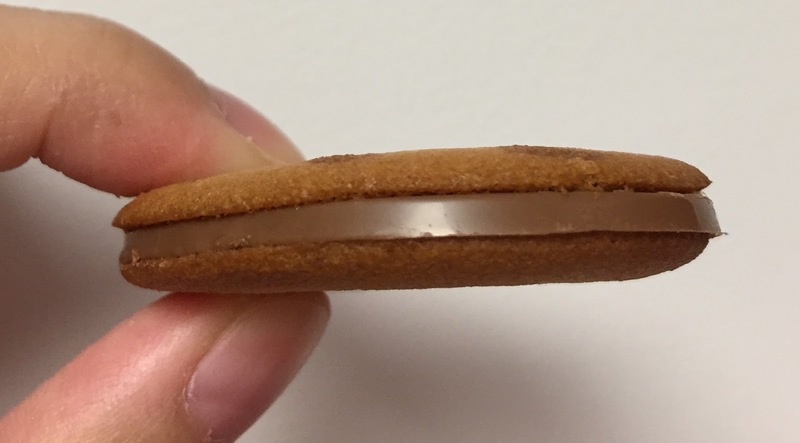 Both cookies and the chocolate were the same thinness. 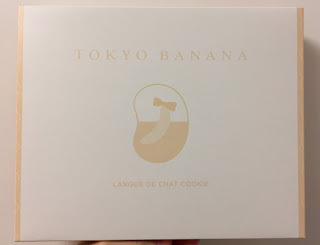 The langue de chat cookies were crispy, fragile and lightly crunchy and the chocolate sheet wasn't hard so that while chewing the cookies in my mouth, the chocolate started melting mildly. It also had light banana flavor. It had more sweetness and fragrant flavor of the cookies than the characteristic flavor of white chocolate. 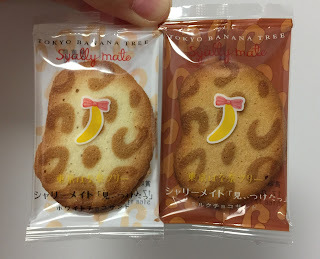 The pouch was brown and the leopard pattern was beige, like the other one. 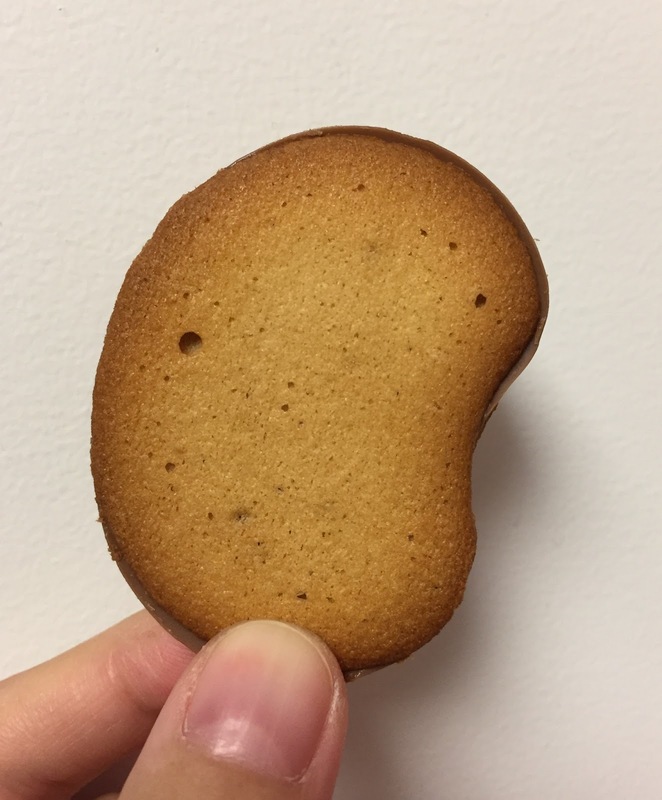 The cookie was as dark as the pouch. Bottom cookie was plain and this cookie didn't have any chocolate sticking out. The cookies and the chocolate sheet were about the same thickness so that hey mixed in my mouth well, and this cookie was very tasty. 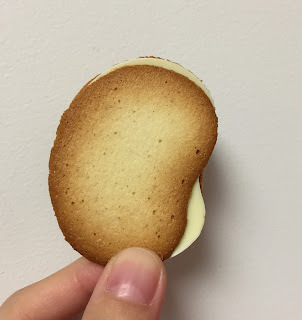 Milk Choco Sand had subtle caramel flavor. 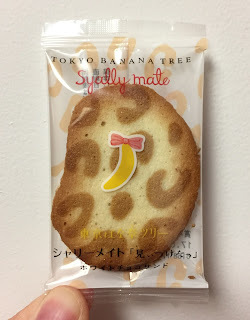 This cookies also had banana flavor.